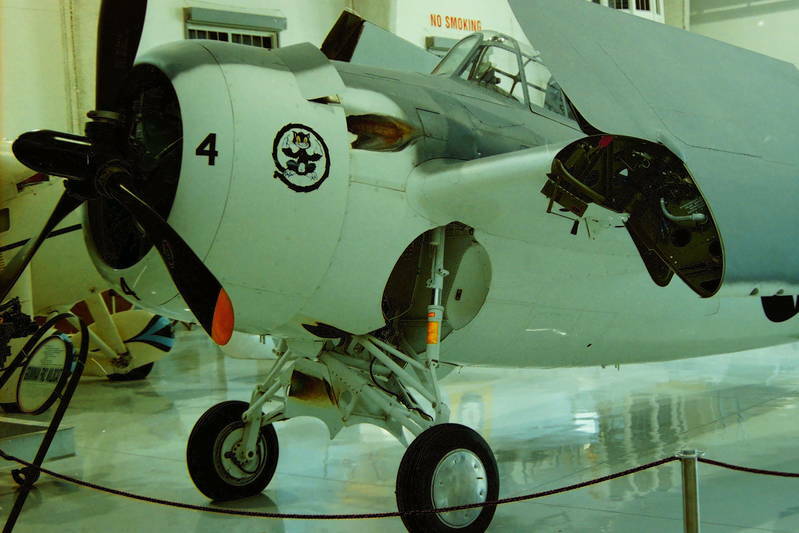 Designated the F4F, its first flight took place in September of 1937. 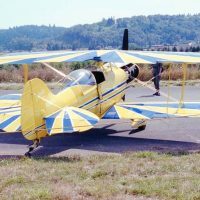 Fifty-four fixed-wing aircraft were ordered in 1939, and in 1940, the Navy decided that all future aircraft were to be built with folding wings. 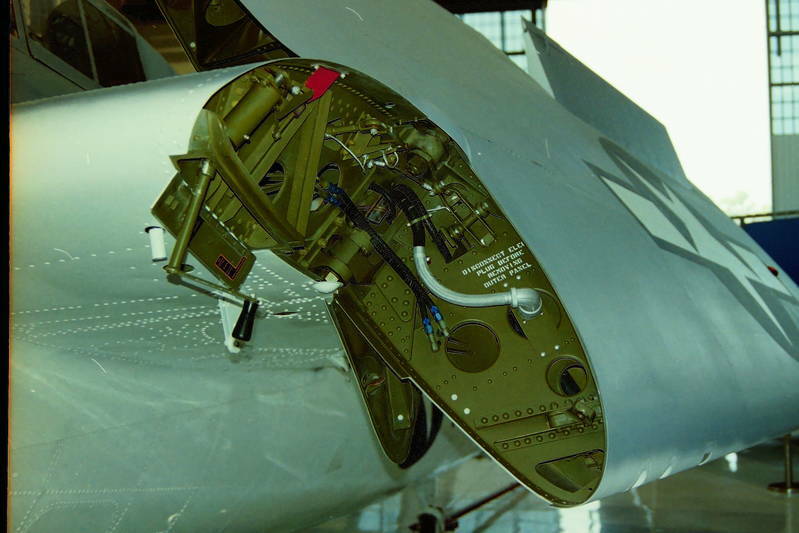 The French ordered 100 aircraft before the war broke out, but when the Germans invaded and France fell, the British took over the deliveries, renaming it the Martlet. 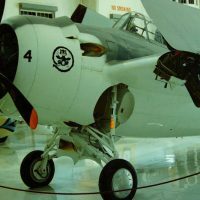 As Grumman got involved in the production of its next fighter, the Hellcat, Wildcats were built under license by General Motors and were designated as FM-2s. 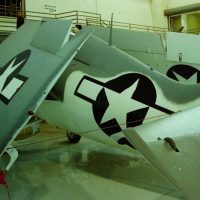 Wildcats played a major role in protecting the American carriers during the Battle of Midway when four Japanese carriers were sunk and the war turned in favor of the Americans. 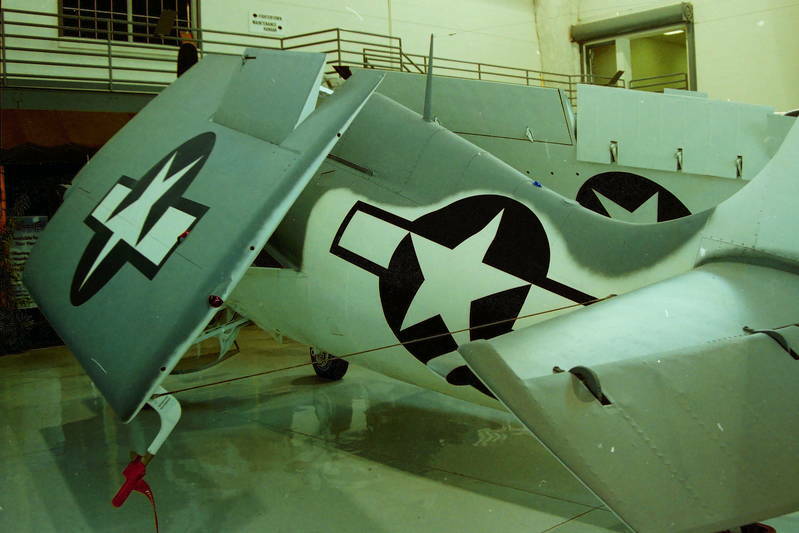 Wildcats were used through 1943 until they were replaced by later designs. 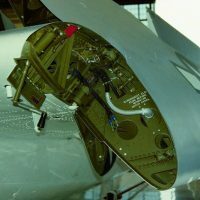 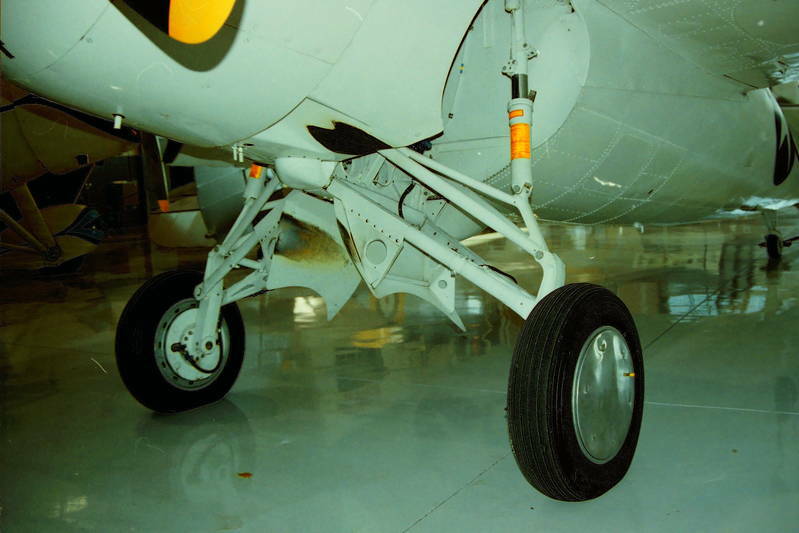 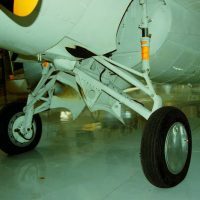 This walkaround mostly focuses on the undercarriage detail.